sweep first, then sharpen the saw … into a knife. Spending three days with a master knife maker like Barry Gardner is a real privilege though apparently not everyone who visits his workshop sees it that way. I was more than a little nervous when I arrived on the first morning. Not a keyboard, desk or chair in sight and yet I was to spend three days working? I learnt a great deal during my time there, enough to come away with the clear knowledge that there is a great deal that I do not know. 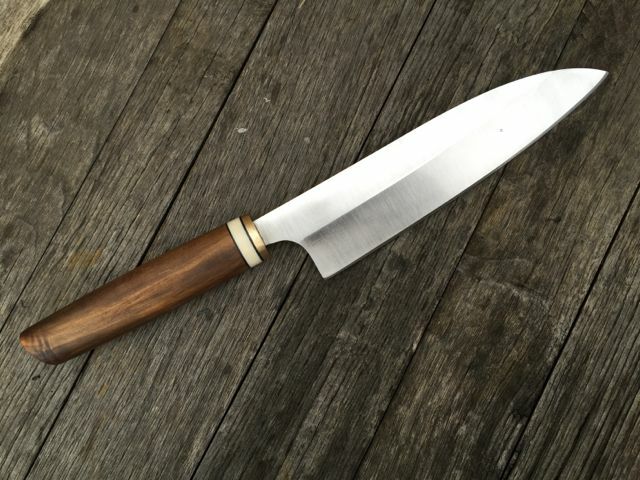 Three days of tuition does not a knife maker make. Along the way I received a lot of help but I have come away feeling like it is something I can do if I practice. 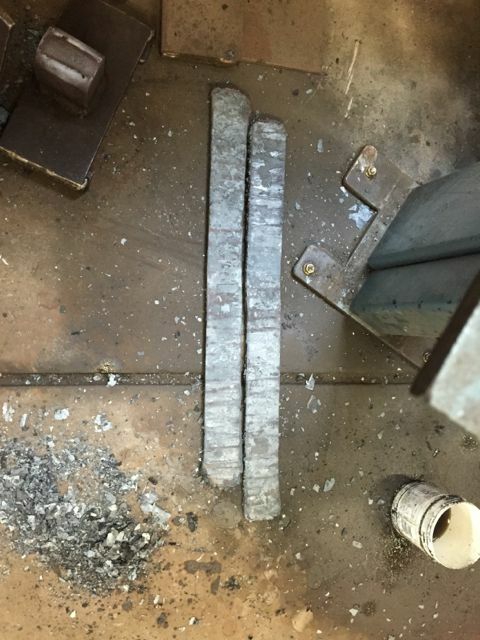 Also knowing that traditional blade sharpeners would spend a decade training before they would be allowed to work on a live blade! It has reconnected me with what I think is a basic human need to work with and create with our hands. It has also reconnected me in a visceral way to the concept of mastery. Reconnected me to what it takes to not just be good at what you do, but to be great at it. And at the end of every day I swept. It might sound strange but it was an honour to sweep Barry’s workshop. In the dojo sweeping is an honour reserved for the senior grades – to be given the responsibility of caring for the place in which you practice. And I did care about the space and that showed up in the way that I swept and in the pleasure I found in sweeping. I know it will be a long time before I can replicate the quality of that first knife but I am not concerned. I am making preparations to be able to practice making knives here at home. I can see it being something I will do for a very long time. 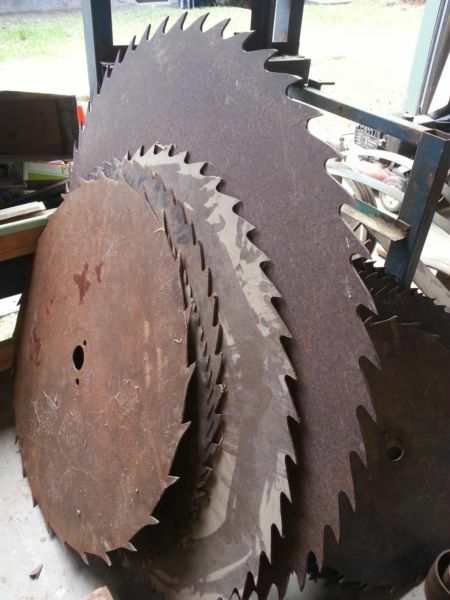 I found myself some old saw blades that I will recycle for the steel in my knives. The largest saw is 1 m in diameter so I should have enough to keep me going. Before I start sharpening that saw into a knife though, I need to sweep. If you would like me to come and share with you and your team the insights that come from the experiential learning environments that I create, make me an offer via the Contact Me page. 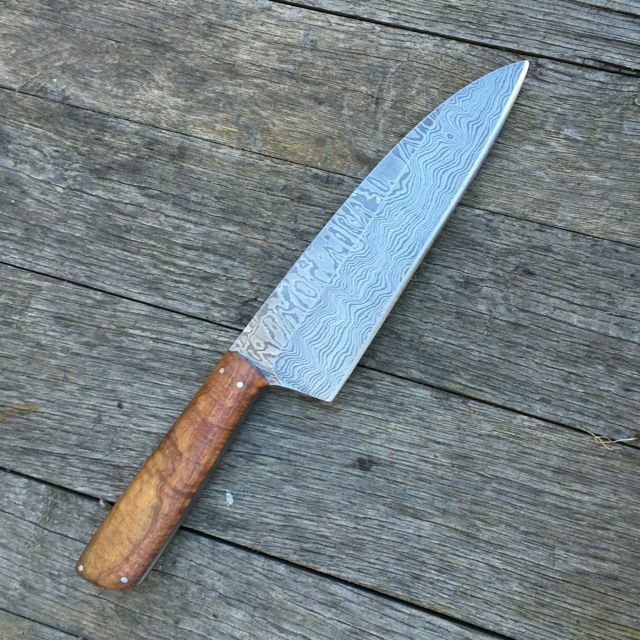 If you would like to make a knife with Barry in the beautiful Barossa Valley in South Australia, he has a number of 1 and 2 day courses you can take. Be warned, he is booked out months in advance. Great blog Paul. I recently read that the “All Blacks” have a similar concept. At the end of each game a senior player (ie the captain Richie McCall) can be found sweeping the dressing room floor as a way of keeping players grounded, setting a good example for the next generation, showing respect and appreciation to the coaching and support staff. As much as they are Masters on the rugby field they still spend time sweeping. Thanks Derrick. Now that you mention it I recall hearing that story as well. The direct experience of it left a more lasting impression in me. I wonder if it is a principle that should be (or could be) applied more in organisations?